At least, the already begun operation to release one more piece of Syrian territory occupied by the terrorists - in the province of Dara is suspended. For unknown reasons, Moscow asked the supporters of the Hezbollah movement and the detachments of Iranian and pro-Iranian fighters supporting Damascus to withdraw. This caused Iran's displeasure and visible cooling between Tehran and Moscow. Some of these fighters, however, whether included in the Syrian government troops. 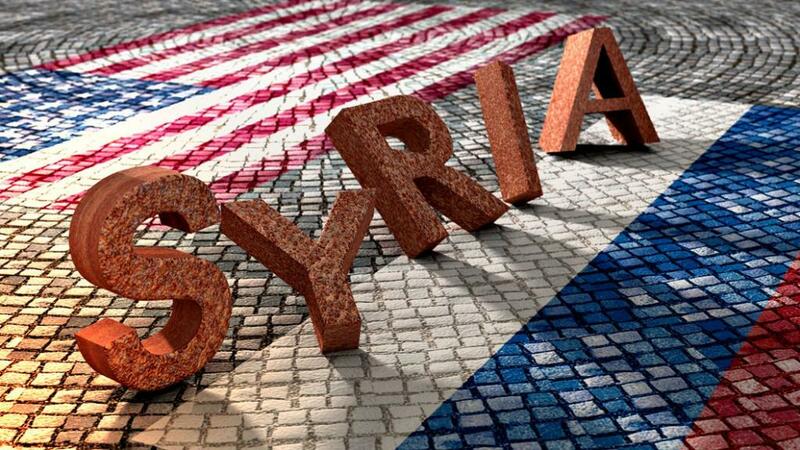 At the same time, the Americans, which, in general, has been pushing Moscow and Damascus in the Syrian issue very consistently and energetically, stopped demanding an end to the offensive in Dara. Meanwhile, they are confidently being secured in the occupied territories of Syria in the Efrat, around At-Tanf, and in the northeast, where they were confronted with Turkey at the expense of the Kurds, which dealt yet another blow to the already not too persistent alliance of Russia, Iran and Turkey. Here they change it, while at the same time obviously dismembering Syria. As for Russia, many observers have recently had a feeling that it has lost momentum in complex Syrian politics, that it is trying again to build good relations with the US and Israel at the expense of its own interests. Some observers even assure that this trend is connected with the visit of Israeli Prime Minister Benjamin Netanyahu to Moscow on May 9. In their opinion, an agreement was reached then that Russia persuades Iran to withdraw its troops from the borders with Israel - in exchange for the non-use of force by Israel in a case of the full-fledged conflict. Tel Aviv threatens to start a serious war with Bashar Assad, to which the United States will join and which in that case would not have sustained a week without Russian intervention. And Russian intervention in this situation would lead Moscow to a full-fledged war no longer with Israel and the US, but in general - with a worldwide banker's network, or deep state. Russia is not yet ready for such a war. Well, as a "sweet" to the Russian leadership were given guarantees of a peaceful holding of the World Cup. The situation is unlikely to develop in a positive for Russia, for Syria and Iran. Most likely, there will be a frozen conflict. This is at best. And at worst - it will be attempts by the American coalition to expand the territory that is under their control. There may be some provocations. In the Dara district, for example, an attempt to provoke chemical weapons from the side of "Djebhat an Nusra." And in response, the Americans will strike at the Syrian government army. This can happen again in the future. There are few positive forecasts here. Without the suppression of the most active, most combat-capable armed groups, a political process is impossible. It is obvious. But this is not yet visible. It seems that Russian politicians in the Syrian issue are trying to sit on two chairs - on the one hand, they are trying to protect their national state interests in Syria, and on the other - to be friends with the West. But it is unlikely that this will be useful.